Email Marketing Reports has hundreds of articles, links and other resources to help you start or improve your opt-in email marketing. Its purpose is to enable newcomers and professionals from all over the globe to find information they can use to improve their understanding and application of email marketing. So in turn they can reach their objectives more efficiently.In other words, this site helps you get better results from your email marketing efforts. The main focus is an article directory with over 50 categories and a blog which has around 2,350 posts with news, advice and commentary on all things email marketing. 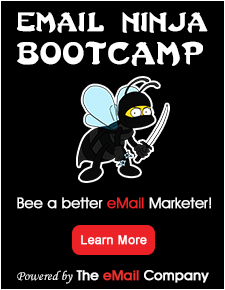 BTW, my understanding of email marketing is the use of permission-based email for marketing purposes. It’s a wide remit, but one which excludes anything that even sniffs of spam or unprofessionalism.